The man has since been identified as 49-year-old Mohammed Amin from Bolton. Police were called at around 3.35am on Tuesday to the M60 following reports of a three vehicle crash between junctions 18 and 19. Officers attended and one man was sadly pronounced dead at the scene. The man has since been identified as 49-year-old Mohammed Amin from Bolton. Two other men were taken to hospital for treatment, one with a critical head injury and one with other serious injuries. Police say that further enquiries have established that a black Audi A3 had been travelling on the carriageway when it was involved in a collision with the central reservation before coming to a stop in the middle lane. According to police an unknown car drove past a short time later and pulled up on the hard shoulder, surveyed the scene and then drove off. Minutes later the Audi was involved in a further collision with a Ford Focus and a VW Caddy van. Officers investigating the collision are now urging the driver of the unknown car that drove past the initial incident to come forward and assist with enquiries. Police say there is no suggestion of any wrongdoing by this person. Senior Investigating Officer, PC Paul Joynson of GMP’s Serious Collision Investigation Unit, said: “We have been carrying out numerous enquiries since the tragic events of this morning and now have further information. 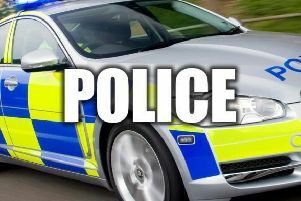 “Between these two incidents taking place minutes apart, an unknown car stopped on the hard shoulder to observe what had occurred before leaving the scene a short time later. I would like to urge this person to please come forward and contact us and assist with our enquiries. “I want to make it clear that this person is not in trouble but they may hold key information that may assist the investigation.